Photos: Pitbull Performed With Enrique Iglesias In Concert – Rosemont, Illinois! Mr. Worldwide Pitbull performed onstage with Enrique Iglesias at the Allstate Arena on February 20, 2015 in Rosemont, Illinois. Pitbull looked studly as always! PHOTOS: Benjamin Stockham Presents At Writers Guild Awards! 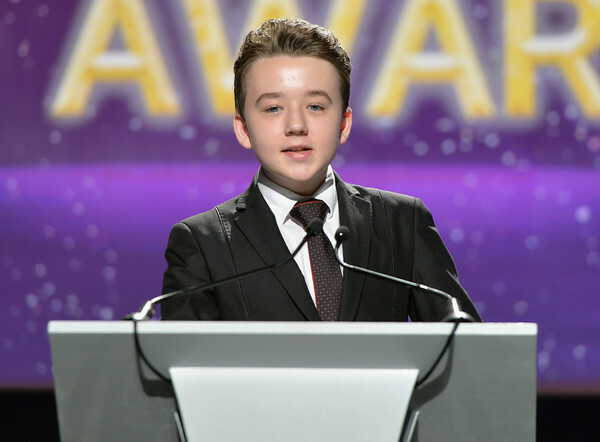 About A Boy actor Benjamin Stockham spoke and presented an award onstage at the 2015 Writers Guild Awards L.A. Ceremony at the Hyatt Regency Century Plaza on February 14th in Century City, California. The award he presented was the Animation Award to Brian Kelley for his work on The Simpsons. Check out more pics of Benjamin below. Cheers To Charli XCX Performing At Hot 99.5 Jingle Ball 2014! Pics Here! The awesome Charli XCX attended and performed onstage during HOT 99.5’s Jingle Ball 2014, Presented by Mattress Warehouse at the Verizon Center in Washington, D.C on December 15th. Filed Under: Celebrity Events, Celebrity Photos, Disney Star And Celebrity News, Music Tagged With: Charli XCX, Hot 99.5 jingle ball 2014, mattress warehouse, Music, Onstage, Performed, Photos, Verizon Center, Washington D.C.
MTV “EMA” Winner Ariana Grande Rocks The Awards In Style! – Pics & Vid Here! Ariana Grande rocked the MTV European Music Awards in style on November 9th. Ariana took home the awards “Best Female” and “Best Song” for her hit “Problem” ft. Iggy Azalea. Congrats Ariana! Check out Ariana‘s EMA’s performances below! 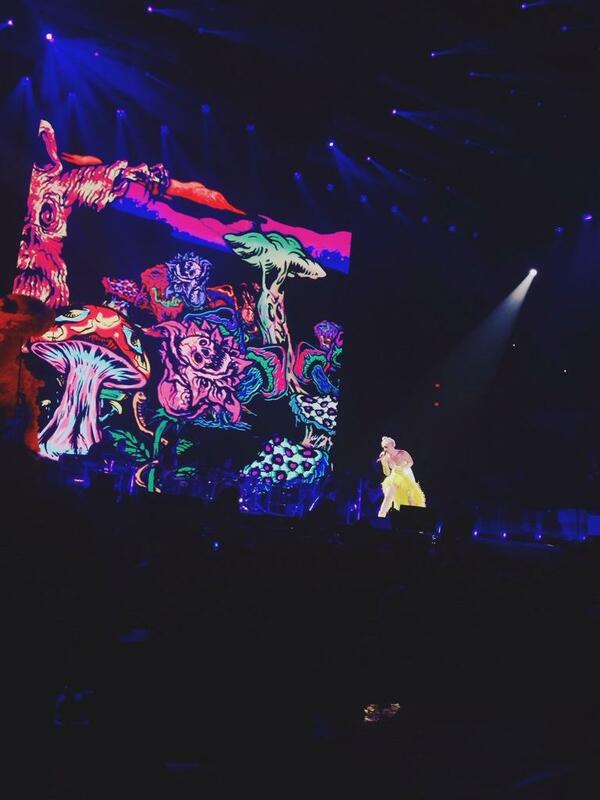 Demi Lovato Brings Her ‘Neon Lights’ World Tour To Newark, NJ! – See The Pics! Demi Lovato has been a busy gal and she shows no signs of stopping! Demi brought her ‘Neon Lights’ World Tour A-game to the stage in Newark, New Jersey on October 25th. Demi rocked out and sang her hits as well as fans favorites to the excited, packed crowd. We love Demi’s bold stage outfits filled with leather, pleather and studs. Would you rock her look? 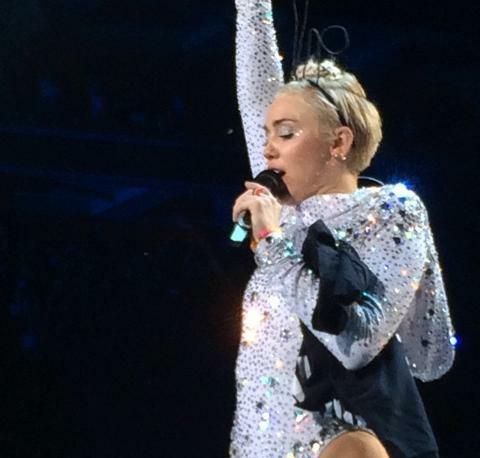 Miley Cyrus Rocks The Stage In Perth, Australia! – See The Pics! Miley Cyrus brought her fun and energetic presence along with her amazing voice and crazy dance moves to the stage in Perth, Australia on October 23rd. 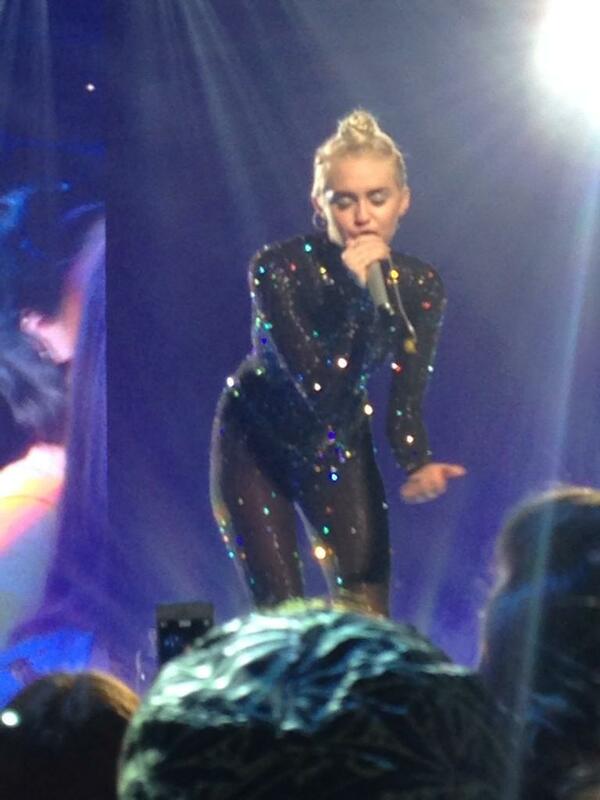 Miley rocked out by singing her hits as well as fans favorite to the excited crowd. 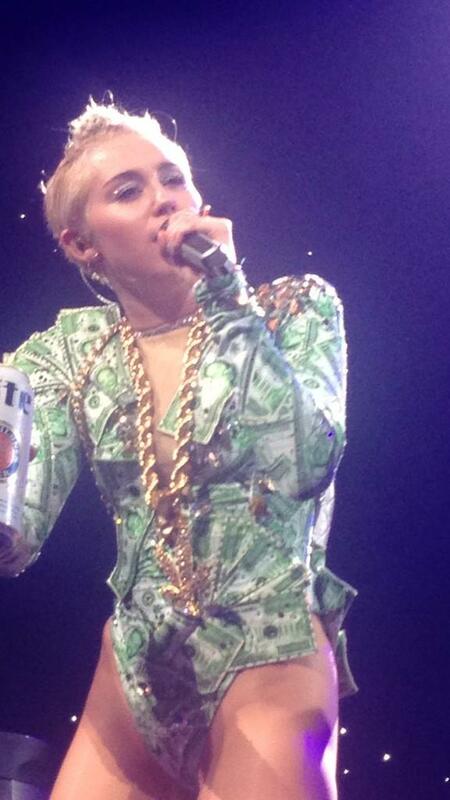 Miley Cyrus’ Bangerz Tour Invades Philly! – Lots Of Photos Here!! 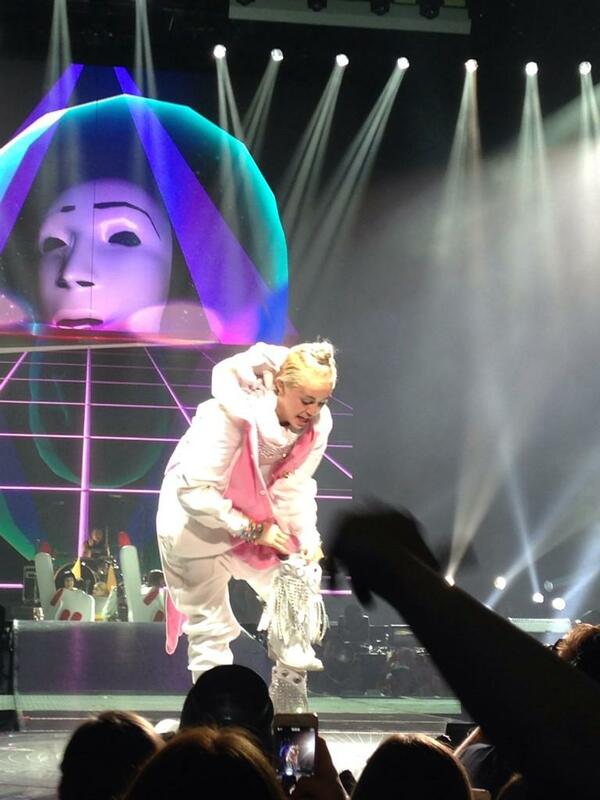 Miley Cyrus took the Bangerz Tour to Philly tonight, and boy did she arrive with a bang! 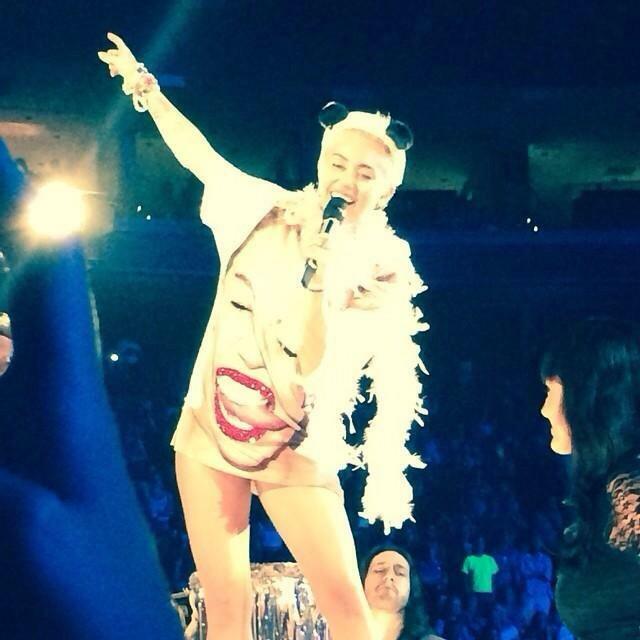 Miley performed for screaming fans at the sold out show, and we have the pictures to prove it! 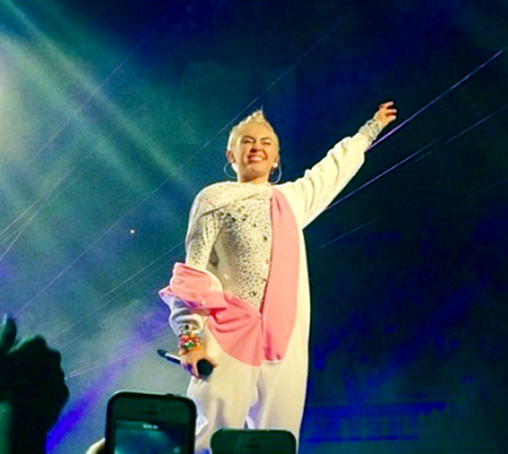 Check out this amazing gallery of photos from Miley’s set in Philly below. 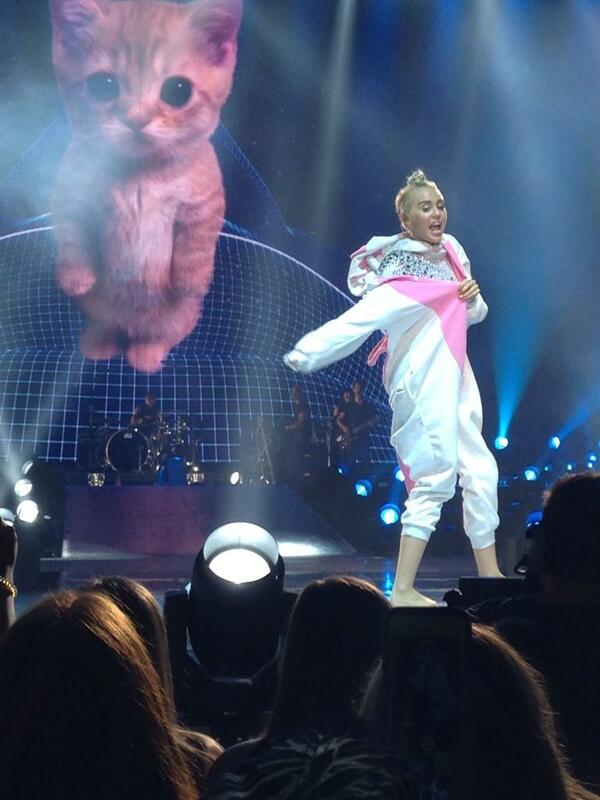 Have you caught Miley on tour recently? Send us your favorite moments in our comment box to share your Smiler excitement! 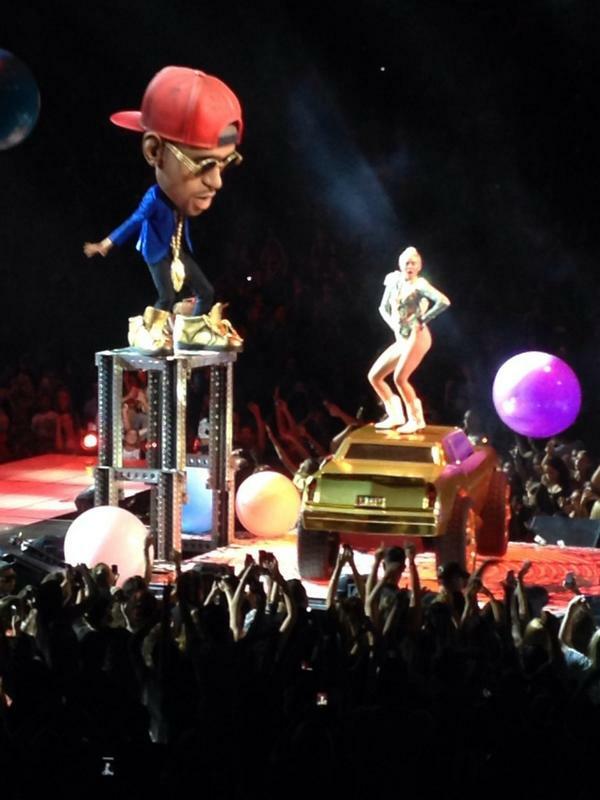 Miley Cyrus’ Bangerz Tour Hits New York! – Huge Gallery Here!! 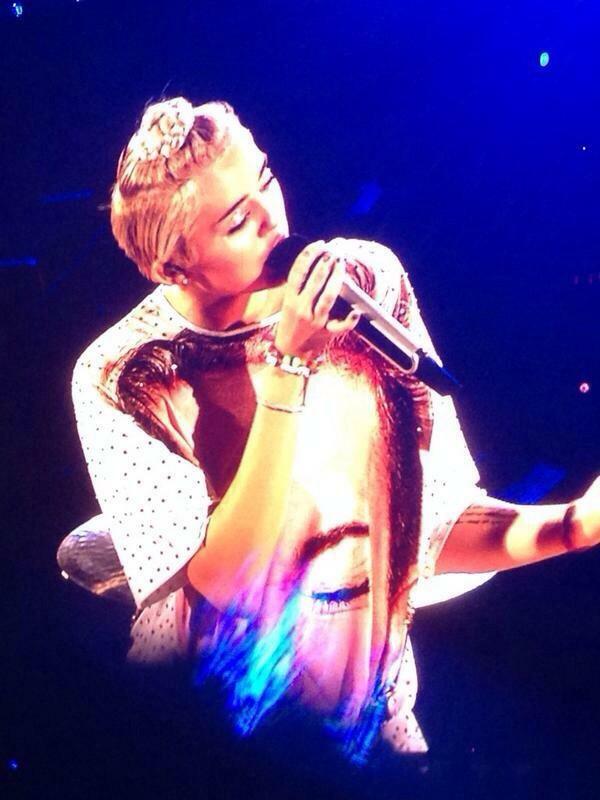 Miley Cyrus took over New York tonight with her Bangerz Tour, and boy did she tear the house down!! 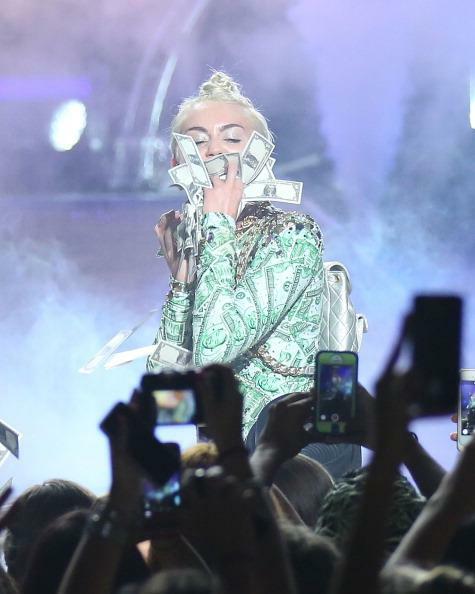 Fans went crazy for Miley and her crew as she rocked hit after hit and delivered her style, sound, and energy to the Nassau Veterans Memorial Coliseum in Uniondale, NY. If you weren’t able to be there live, never fear, we have a HUGE gallery of photos from tonight’s show for you to enjoy below!